Throughout his three-decade long career with the NFL, Mike Lombardi worked as an NFL executive with the San Francisco 49ers, Cleveland Browns, Philadelphia Eagles, and Oakland Raiders alongside NFL legends including Bill Belichick, Bill Walsh and Al Davis. 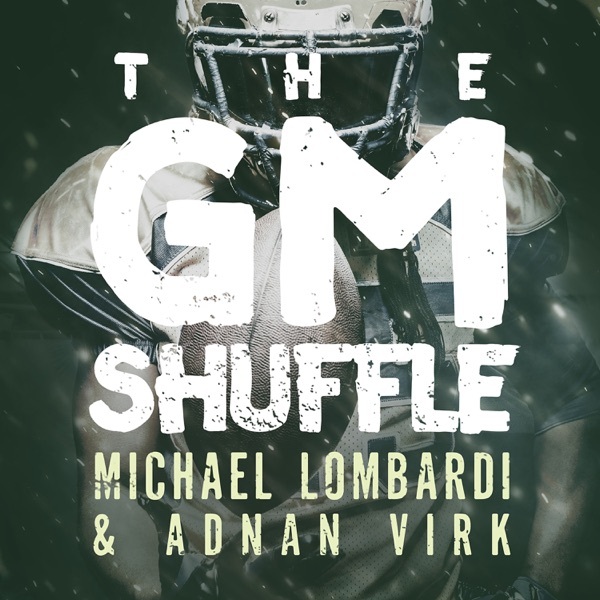 On The GM Shuffle, Lombardi and co-host Adnan Virk will tackle a wide range of topics weekly within the world of the NFL and break down everything listeners and fans need to know about players, coaches, organizations, the draft, free agency, and all the NFL storylines in a way that only they could with the success and credibility they bring to the podcast audience. Throughout his three-decade long career with the NFL, Mike Lombardi worked as an NFL executive with the San Francisco 49ers, Cleveland Browns, Philadelphia Eagles, and Oakland Raiders alongside NFL legends including Bill Belichick, Bill Walsh and Al Davis.&nbsp; &nbsp;<br><br>On <em>The GM Shuffle,</em> Lombardi and co-host Adnan Virk will tackle a wide range of topics weekly within the world of the NFL and break down everything listeners and fans need to know about players, coaches, organizations, the draft, free agency, and all the NFL storylines in a way that only they could with the success and credibility they bring to the podcast audience. &nbsp;<br><br>The GM Shuffle launches on April 10 with new episodes every Wednesday.